I'll tell you what I love most about raw food: nothing (or so I thought). After a meal out last summer that felt more like punishment than anything else, I'd sort of thrown in the "raw" towel and vowed never to torture myself in that way again. It wasn't the idea of raw food that was upsetting me. It wasn't even the way the food looked. It was more the way the food tasted during that raw nightmare meal. But then? There was Merry. 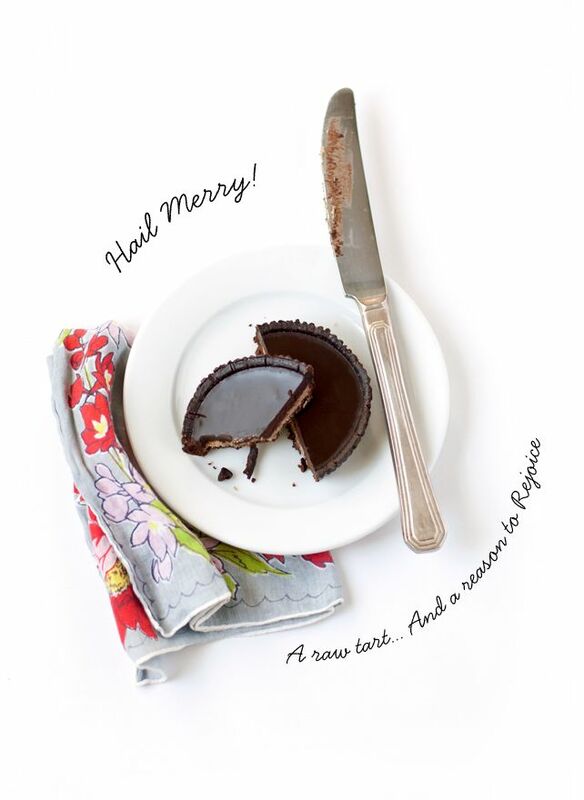 I discovered Merry's raw Miracle Tart in the neighborhood health food store during my lunch break one afternoon—specifically the almond butter tart. I picked one up optimistically, and was happily surprised. The tart is rich and chocolatey, sweet but not too sweet, and full of ingredients I'm not entirely embarrassed to admit that I've consumed. 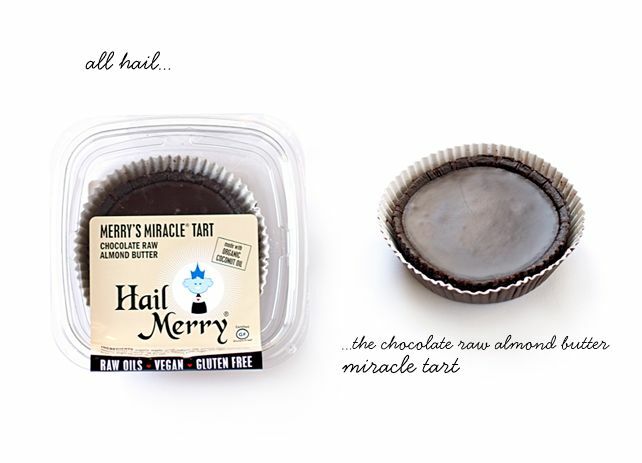 If you'd like to learn more and try Merry's Chocolate Raw Almond Butter Miracle tart for yourself, check out the Hail Merry website and find a store location near you. I just discovered this too! They are SO SO SO good. Did you get yours at Garry Nulls on UWS? Hi Abbey! Aren't they great? I'm so glad I found them. I got mine at Health & Harmony in the West Village.